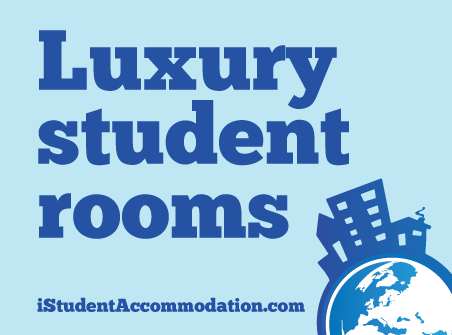 It’s that time of year when everyone’s either starting or heading back to uni, and thoughts turn to how to get your gear there and how to carry stuff to lectures and matches. 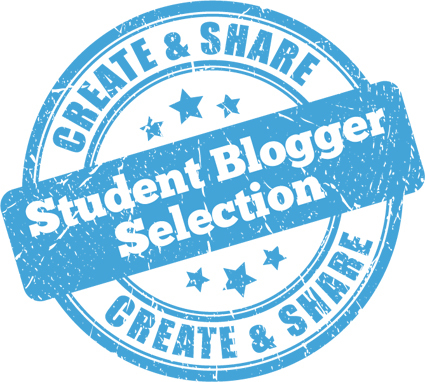 So when a timely offer from Doughnut came through to Student Blogger HQ asking us if we’d like to test-drive one of their backpacks, we jumped at the chance! Doughnut was founded in 2007 by two students who met at uni in Hong Kong and who had a shared passion about travel and functional design aesthetics. 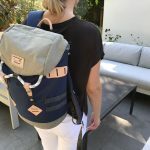 Using a family-owned factory they started designing backpacks just for fun, but it has since grown through word of mouth and reputation alone into a successful business making high-quality, hand-crafted backpacks, bag accessories and other travel essentials. The brand is now stocked in over 25 countries and has gained a cult following among travellers around the world. 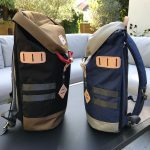 We were invited to review both of the available sizes of the Colorado backpack, and with an impressive 16 colour options available across the two sizes, we struggled to make a decision but eventually plumped for black and khaki for the standard sized bag and navy and beige for the smaller version. 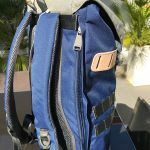 The standard Colorado backpack’s dimensions are 28cm wide x 15cm deep x 47cm high and fits a 15″ laptop in a separate zipped compartment, while the Colorado Small bag comes in at 28cm wide x 13.5cm deep x 40cm high and can accommodate a 13″ device. There is a lot to like about this rucksack. 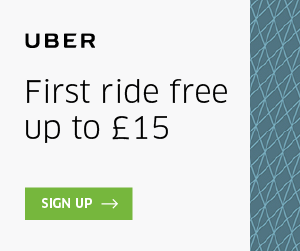 Firstly, it has a cool retro look – to access the main compartment you unfasten leather loops around a thick rope rather than the usual plastic clasps. 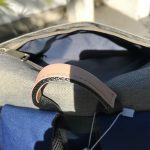 There are some nice details in ‘organically dyed leather’, like the loop handle on the top of the bag and patches with loop holes on the front and sides. Another nice touch is the draw-string cover at the top of the bag to help keep the contents dry. 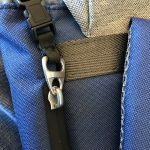 The straps are well padded and come with reassuringly chunky metal adjusters and loops, and the back panel has two thick padding strips making it a comfortable and well-ventilated bag to carry – no problems with sharp corners digging into your back with this pack! 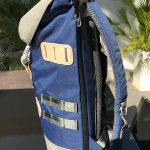 There’s also an adjustable chest strap to help spread the load when you’re carrying your laptop, a load of books and your sports gear to uni, which is removable for lighter loads. 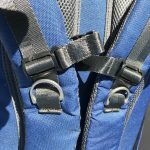 On one side of the back panel is zipped access to the laptop compartment, while the other features a zip giving you access to main body of backpack, which is also fastened by a clasp for additional security. 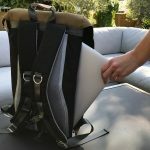 I found being able to easily slide your laptop in and out without rummaging around the main bag to be a really handy feature, and the padding on both sides of the compartment meant that it didn’t need to be in its own cover. There’s a generously sized zipped pocket in the cover at the top of the bag, which I found ideal for storing a pair of shades in their case, and a load more inside. 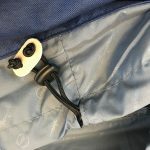 On the front of the interior there are a couple of decent-sized pockets fastened by Velcro, a zipped mesh pocket for your phone or purse/wallet and an open pocket with a loop above that could be handy for hanging your keys on. 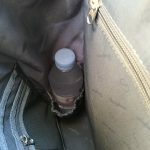 On the base are a couple of pockets to hold bottles, while the back has another large zipped pocket. I find you can never have enough pockets for headphones, charger, pens, tickets, passport, etc when you’re on the road, so the Colorado gets a big thumbs up from me on this front! 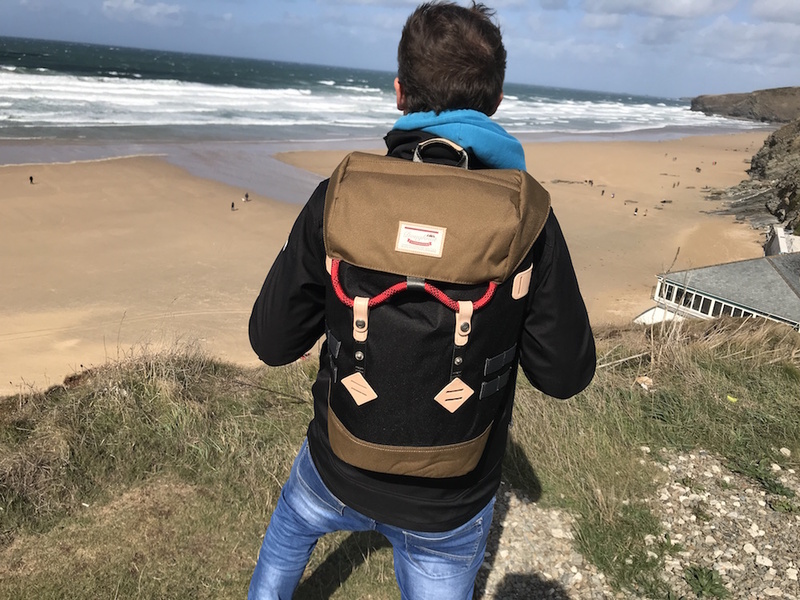 All in all, I think this is a great rucksack – it’s stylish, practical and robust, with nice leather details, chunky zips and plenty of pockets. 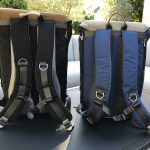 Price-wise, this isn’t a budget option – the Colorado retails at £80 and the Colorado Small costs £70 – but these bags are built to last and should prove an excellent investment in the long term. 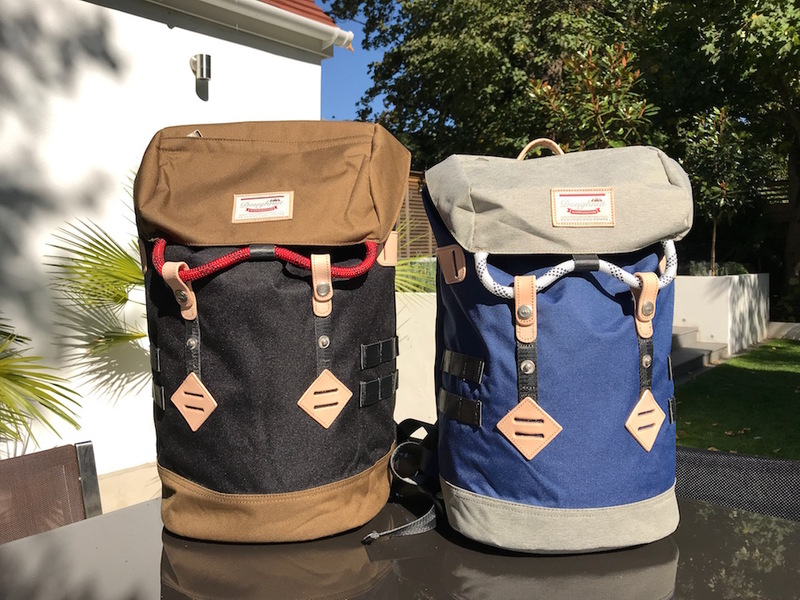 And the great news is that we’re giving one lucky reader the chance to win the Colorado backpack of their choice – find out how to enter here! 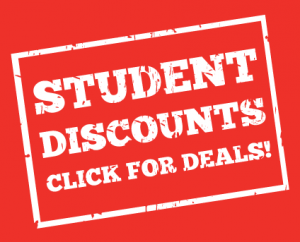 If the Colorado isn’t quite right for you, there are another 16 styles of bag available from the Doughnut website, and as a special offer to readers of The Student Blogger, you can use discount code ‘School30’ to get 30% off the Morris, American Vintage Cordura, Christopher and Hugo ranges!